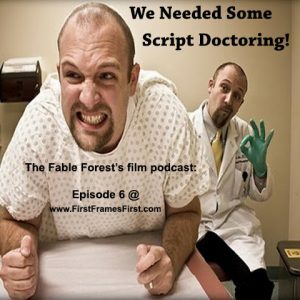 During the special 6th episode Adrian and Jason sit down for a super Script Coverage and Discussion Session for over Skype with author Tina Konstant all the way from Aberdeen Scotland, to go over Adrian’s newest screenplay in development “Artificial”! Yes First Frames First has gone international! To get a leg up on the show you can get started now by reading the draft of the screenplay “Artificial”!! This entire episode is devoted to hacking this script apart in the hopes of a better next draft and more complete film! !